Venturing into the business world all on your own can be intimidating. However, you can draw comfort in the fact that there are many other solopreneur success stories. Others have traveled down the same road as you and made it to financial success. The internet can be the greatest market for your business, as the online entrepreneurs below have shown. You can get clients from literally anywhere in the world. The best part is that when you work online, it becomes possible to make millions even if you are going at it alone. While it's sometimes necessary to go into uncharted waters, it can still greatly help to follow the footsteps of the people who had once gone on a similar path, as you are now. Allen was, in his own words, a high school failure. He had a GPA of just 2.9. Later in life, Allen started working for a camera store making only $11.00/hour. However, one day he had an idea. He decided to run with that idea and started a new spy camera website. At just 27 years old, Allen is now on track to make 7 figures (not a typo) with his year old business! 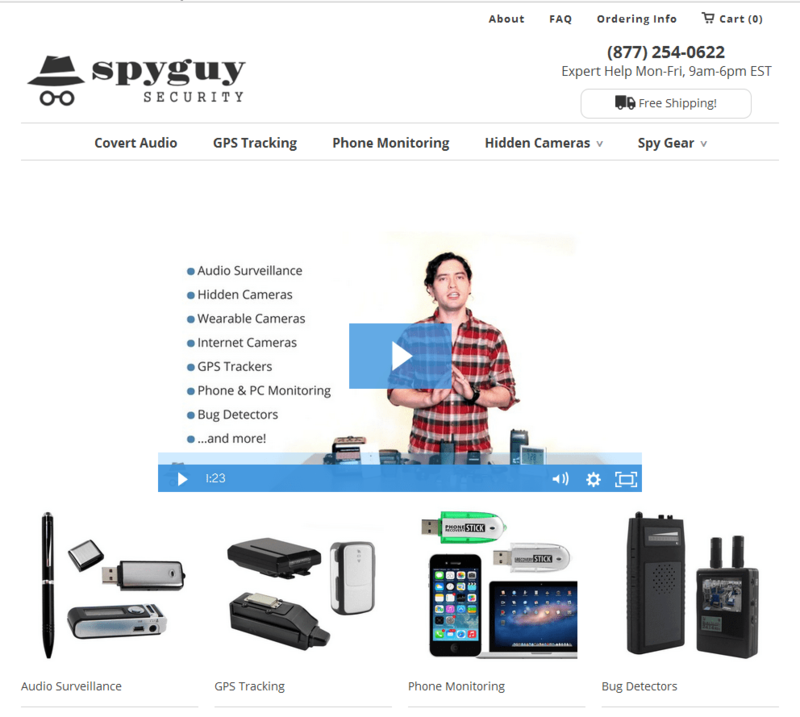 His website Spyguysecurity.com does this by selling over 100 different products. How is it relevant to you: This guy was just an ordinary person like you and me. However, because he was able to identify the products people wanted he was able to start an extremely successful online business. This business was (until he decided to grow the business) run entirely by himself. This just goes to show you that you do not need to be a genius, rich, or even have special skills to start a successful online solo enterprise. All you need to do is identify a need or want that people have and then find ways to provide it to them. The question you need to ask yourself is: What is a product or service I have noticed people want which I can provide? Adam started building websites when he was just a teenager. He created websites for party locations, high school gossip, etc. However, one day he created a website based on the affiliate marketing and “pay-per-click” model. He created several pay-for-click internet sites. However, they all failed. Not only did they fail, but he lost several hundred dollars in the process. Keep in mind that he was still a teenager at this time, so $100.00 was a significant amount of money to lose. However, he kept trying. He looked up Google trends to see what kind of products people wanted to buy and started to make money by helping sell those products. Eventually, he learned how to run very successful pay-per-click campaigns. He then took that knowledge and created a website that teaches people how to do the same things he did. While the website got little traffic at first, by trying various methods, Adam and a friend he later partnered with, managed to increase the traffic to his site. On his website, Adam taught people his business strategies in the same manner he would want to learn them. Over time Adam managed to build two different 6 figure a year websites before he turned 18 years old. How is it relevant to you: Adam started out just playing around online but ended up as a millionaire before he was even old enough to drink. Furthermore, his first several attempts failed, and he still kept on trying to succeed. Many of his friends and family told him that making money online was a scam and that it couldn't be done. Adam ignored them and in the end, tasted sweet success because of his perseverance. The trick is to not give up and continuously try new things. Another big reason for Adam's success is that he put himself in his prospective client's shoes. He tried to imagine what his customers would want and how they would want it; then he delivered it to them. The question you need to ask yourself is: If I was the customer, what concerns would most important to me? Here is a real “rags to riches” story. Mark was unemployed, $12,000.00 in debt and homeless. However, now he is making $10,000.00 a month with virtually no effort what-so-ever! How did he do it? 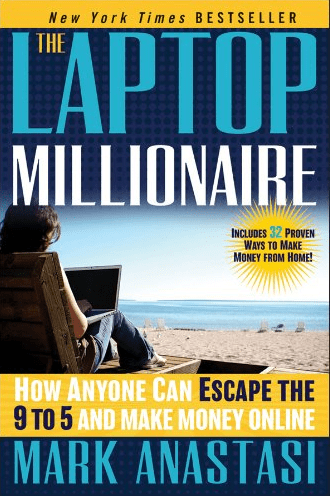 First, he got a mentor (who he calls The laptop Millionaire which is also the name of a new ebook Mark has written) to teach him how to market himself properly. Then he wrote a 70-page ebook on alternative therapies and posted it to a website called Clickbank.com. After that, he relentlessly drove traffic to his ebook via Google AdWords and sold the ebook for $67.00 per download. He would get between 200 and 300 people viewing his ebook every day. How is it relevant to you: This guy was homeless, jobless, and in debt, and yet even he was able to start his own business. If he can do it so can you. The key takeaways from this story are that: Mark never gave up, he got himself a mentor, and he found a way to create value for others even with almost nothing to his name. Finding a mentor seems to have been a great help to Mark. If you want to go into business, search around for people who can give you some good one on one advice. Why work to reinvent the wheel, when someone can teach you how to make it in half the time? The question you need to ask yourself is: If a homeless man could start a business that makes six figures a year, what is stopping me from doing so? When Spencer retired from his traditional job he could have done the usual, bingo, golf, and maybe some gardening on the side. 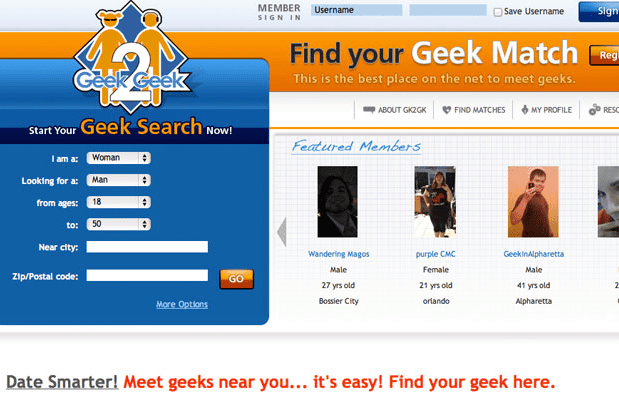 However, Spencer decided to take the untraveled road and instead create the matchmaking website Geek 2 Geek. He made this site with the hopes that it could help geeks like himself find love. Because he is running the site alone, he has low costs and high gains. He just pays the site maintenance and server fees. Furthermore, because it is all online, Spencer has the complete freedom to travel. In just five years his website has grown to over 60,000 members. Geek 2 Geek also brings in 6 figures a year in profits. Again this is what he started doing “AFTER” he retired. How is it relevant to you: If you ever felt that it was too late in the game for you to start your dream business or make your fortune then just look at Spencer's success. The man was over 60 years old, and at a time in his life where most people start to think about leaving the workforce and relaxing for the rest of their days. However, not only did Spencer start his own business at this age, but he is still able to enjoy the “retired” life at the same time. Talk about having your cake and eating it too. The question you need to ask yourself is: If it wasn't too late for him, what is my excuse? Justin was running out of money. At 27 he was at the point where his finances almost forced him to move back in with his parents. With $2,000.00 to his name, he and his fitness trainer created an ebook business. Justin paid $100.00 a day for Facebook ads. He would write the ad himself and the post it. At first, the ad's he wrote were terribly ineffective and only lost him money. However, with his wallet shrinking daily, failure was not an option. By carefully studying the results of the ads he was placing, he quickly learned how to write effective Facebook based advertisements. Soon he stopped losing money and started to make money. Eventually, the business achieved $1,000,000.00 in sales. From there, Goff went solo and started a new business. 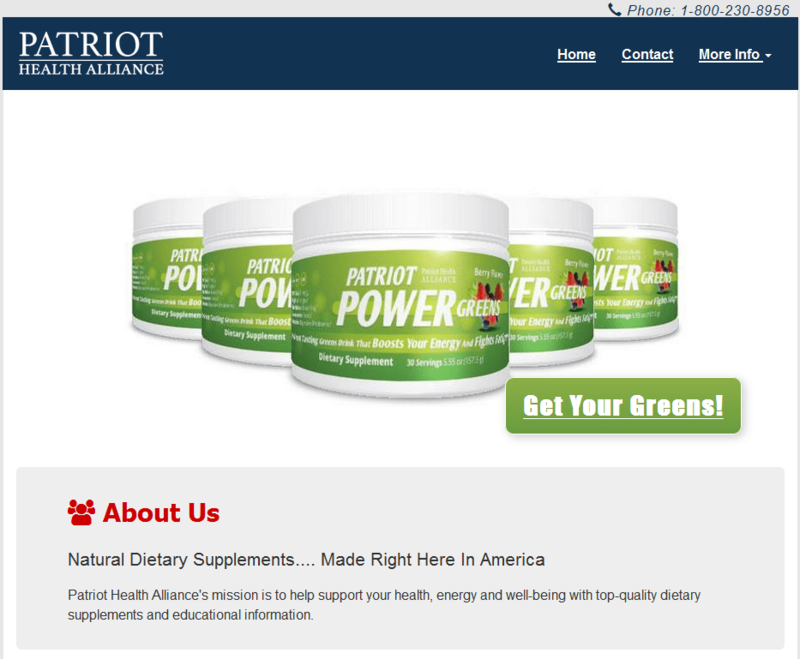 He started the Patriot Health Alliance which sells energy supplements. Justin was able to use the same marketing tactics from his previous company to build this new one up to make another $1,000,000.00 in revenue. How is it relevant to you: This guy was almost out of options. Even when he was losing money, he managed to start a very profitable business. Furthermore, while the ebook itself was valuable, what made this work was how Goff marketed the ebook. By utilizing social media and constantly analyzing which ads were effective and which ones were not Justin learn how to communicate the value of his product to potential clients. Then instead of sitting back and living off of the money he made, he reinvested that money into a new business. The skills he learned on his first business venture allowed him to create a new very profitable business, this time completely on his own. This story demonstrates the power of advertising and the potential gains of stepping into the unknown. The question you need to ask yourself is: How can I more effectively connect to my potential clients? When she was 14 years old, Ashley Qualls was just a typical teenager. She didn't set out to create a business; she just started a small website from her basement called Whateverlife.com. This was only a small website with free HTML tutorials, myspace layouts, and some graphics. However, by the time she turned 17, she had become a millionaire just from the ad revenue of the site. It had turned out to be extremely popular among teens and preteens. How is it relevant to you: Think when was the last time you had a great idea? When was the last time you just went with it for fun? These are the very same things that allowed Ashley to become a millionaire. At its core, business is about providing a service to people. Chances are if you have an idea for a product or service you would want, others may want it as well. Ashley didn't set out to become rich, she just provided a service she thought others would like and it lead her to success. The question you need to ask yourself is: What hobbies of yours could provide value to other people? Tim Seidler started out just like you and me working an 8-5 job while taking care of 2 kids. He began to build websites as a side gig until that “side gig” started to make more money than his day job. Tim had never expected to make a significant amount of money from his side gig. He installed Google Adsense and Media.net on to his sites, and the rest was history. Now Tim can live the dream. By building websites, he is able to make 6 figures a year while enjoying the freedom to schedule his work around his life. How is it relevant to you: Tim never set out to make a 6 figure a year business, he just wanted to make some money on the side. A great strategy for starting your own business is to do some work on the side while keeping your day job. This will allow you to learn the ropes while still keeping some financial security. This strategy is also ideal for you to get your name out there and get your foot in the door with potential clients. The question you need to ask yourself is: What can I do every day on the side, which can bring in even a little bit of cash, by doing it for other people? At the end of the day, only those who were willing to venture beyond the horizon of what other could see were able to come out on top. One thing all of these people had in common was that they were able to understand the value of an idea. Whether it was a dream business, a personal goal, or just a hobby these people were able to communicate the value they saw to the people who later became their customers. Everyone has great ideas, few people try them, and fewer still follow them through to the end. Take action now and create your own success story, so that the next time someone makes one of these solopreneur success stories list; your name will make the list! Great stories, although number of the websites/businesses were started 10+ years ago when it was incomparably easier to get traction. Still possible though, just more difficult. 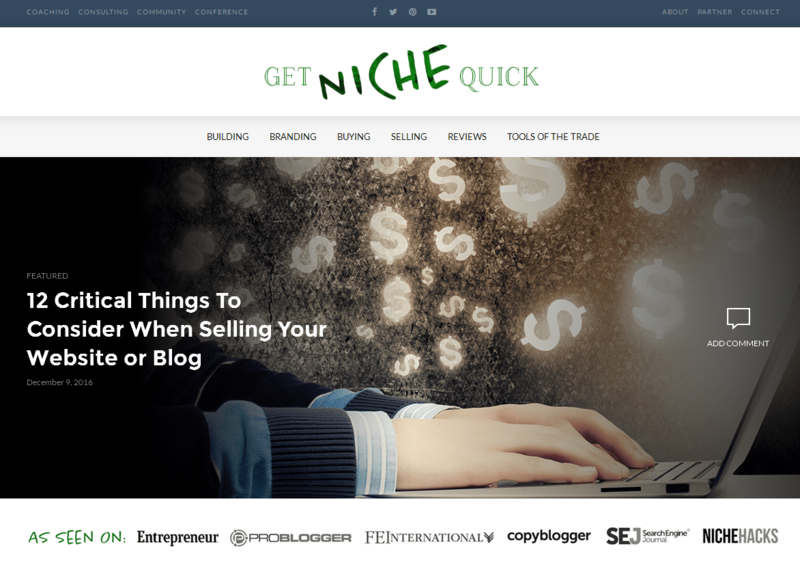 I made my living by buying websites/blogs and improving them. This is getting harder and harder as well, because the valuation is going upwards really fast. Totally agree with that, it was much easier back then. Spencer, how about to write two posts: first on youngsters who made 6-7-figure in 2015-2017; second on 30-50-old blokes who turned they life upside down recently. What do you think? Good idea, perhaps I’ll look into that. Yes, some are older, but some are more recent as well. Overall, there is still plenty of opportunity out there. Amazing and inspiring stories of successful peoples. We bloggers always find these great guys as they motivate us to work more hard to achieve great result and success. Thanks for sharing an amazing post, Spencer! Wow! I like success stories and this is exactly what got me to the level I am today, and I know with time, i will be making $20k per month like some this guys! They are really very inspiring stories. Thanks for sharing! Hello, I have a question about B2C website seo. 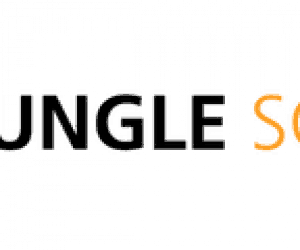 Now I found our website have a big question: One sku product page have several URL. I found that this url (www.mydomain.com/sku-battery) PA is bigger than others. My question is :Would you please tell me what should i do? keep one URL (www.mydomain.com/sku-battery) and other URLS do not allow index? According to a Fast Company article I found, whateverlife.com was ranked #349 worldwide in traffic in 2007. In 2017, Alexa had it ranked #927,173. Hopefully she monetized it back then because the site would be worth next to nothing today. A site ranked 927,173 would appear to be a site that generates a lot of traffic and not be worth, as you say, “…next to nothing.” Or am I wrong? I’m basing this on fact that there are a gazillion websites found on the web. It shows me that it takes a little to absolutely blow it up when you stay faithful to a certain path. I lack consistency and should put myself in the position where I will be more committed than ever. Creating one’s own product is also a good way to go. Great list of inspiring stories, thanks! Excellent list. I’ve hit a little bump and lost a little bit of motivation this month. This article gave me a boost to continue to work hard and never give up. Thank you.